Andy Dappen....Writer / Photographer Photography.. 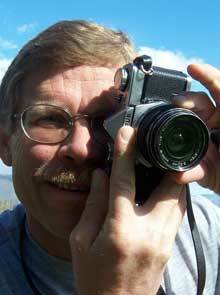 I m a writer who slings a camera--which is different than a photographer who wields a pen. I care most about words. I understand, however, that images often sell a story and I have a trained eye for the big shots and the details needed to complement a story. N ow that I've undersold myself, let me proclaim, "If you need a destination captured or a product photographed, nobody* is better qualified to shoot it." Capturing wild, remote places and extreme adventures with natural light or flash photography. Field photography of products in use. T o see a wide selection of my photographs, browse the www.WenatcheeOutdoors.org a website I edit and manage. * (See how I lie with the best of them?) ..